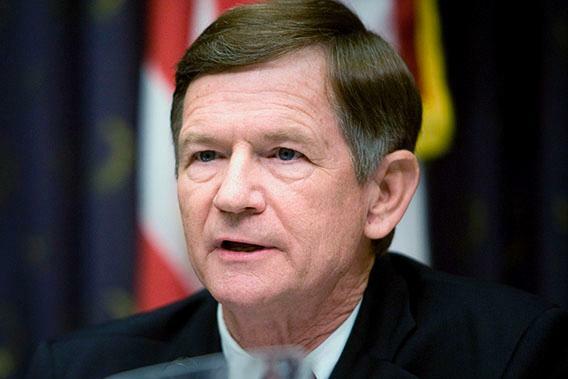 Lamar Smith NSF funding: You can’t mandate scientific discovery. But politicians can’t seem to grasp that. I’m often asked what the “next big breakthrough” in physics will be. My answer is always the same: “If I knew, I would be working on it right now!” By the same token, politicians cannot determine in advance what discoveries will be important any more than the scientists themselves can. You would think that in the 21st century the clear benefits of peer-reviewed, curiosity-driven scientific research in the developed world would be so clear that we wouldn’t need to proactively work to protect the integrity of the scientific process from control by partisan politicians. As the landmark 2007 National Academy of Sciences Report, Rising Above the Gathering Storm described, for example, perhaps 50 percent of the current GDP in industrialized countries is a product of fundamental research performed a generation ago. Yet, recent developments in both Canada and the United States chillingly suggest that legislators still don’t get it. You can foster scientific discovery by providing an environment for the best and brightest to most effectively exploit their talents to address those questions that seem most compelling to those most knowledgeable in their fields. But you can’t legislate it. Last month, as Phil Plait has also discussed in Slate, Texas Republican Lamar Smith, the chairman of the House Committee on Science, Space, and Technology, proposed legislation that would effectively undermine the peer-review process for prioritizing research at the nation’s prime supporter of fundamental research, the National Science Foundation, and ultimately at all federal science agencies. It follows on an earlier successful effort by Sen. Tom Coburn, R-Okla., to attach language to a 2013 spending bill that prohibits the NSF from funding political science research for the rest of the year unless the NSF director certifies that it pertains to economic development or national security. Smith also accompanied his proposed bill with a letter to the NSF acting director Cora Marrett asking to see the documentation on five specific NSF grants that he suggested might not meet the criteria his bill demanded. This proposed legislation, misleadingly called the High Quality Research Act, effectively requires the NSF director to predict which research will be groundbreaking and which will most benefit society. But that is impossible. The history of science is replete with unexpected discoveries with profoundly important effects. The World Wide Web was not developed to address a public need but to help physicists communicate at a high-energy physics laboratory engaged in esoteric studies of the fundamental structure of matter. Theoretical studies of the nature of light emitted by hot objects ended up leading to the development of quantum mechanics, which describes the weird behavior of electrons in atoms. In the process, it led to the development of transistors and all the modern electronics on which modern computers and our information economy is based. And speaking of transistors, computers at the time were largely mechanical devices. If the scientists at Bell Laboratories who won the Nobel Prize for developing the first transistor had instead been assigned the goal-oriented task of directly building a faster computer, they perhaps would have developed better flywheels and gears. Happily, processes are in place to thwart efforts like Smith’s to restrict research to areas that members of Congress might find palatable. In a show of ethical defiance, for example, Marrett refused Smith’s request, arguing on behalf of preserving the important confidentiality of the peer-review process. And without administration support for Smith’s proposed legislation, it is not likely to move through the House anytime soon. So why worry about this? Because this misperception of science and the scientific process is becoming more widespread. It’s also international, with the Canadian government, for example, ordering its National Research Council to perform only research with clear and direct economic impacts. It is disturbing that the very legislators who make up the House Science Committee, which helps oversee the federal scientific enterprise, don’t seem to understand the process by which the enterprise is carried out. While Smith’s proposed legislation would have forced NSF administrators to divine the future, it was based on the presumption that when it comes to priorities for comparing specific scientific research project proposals, Congress, not scientific experts, knows best. This is a slippery slope that we literally cannot afford to slide down. The peer-review process is the foundation of research enterprise in this country and has kept the United States as the leading technical power in the world for at least the past two generations. It is naive to suggest that science can be immune from political interference and manipulation. Politicians often cherry pick the science they like and ignore the science they don’t. But proposed government attacks on the very heart of the scientific enterprise itself—an enterprise which has thus far been wildly successful—are too disturbing to ignore even if they have not thus far succeeded. It will certainly happen again.